What a great interiors brochure for some of the coolest liners ever from Germany! Covered Bremen and Europa and many of the HAPAG ladies. 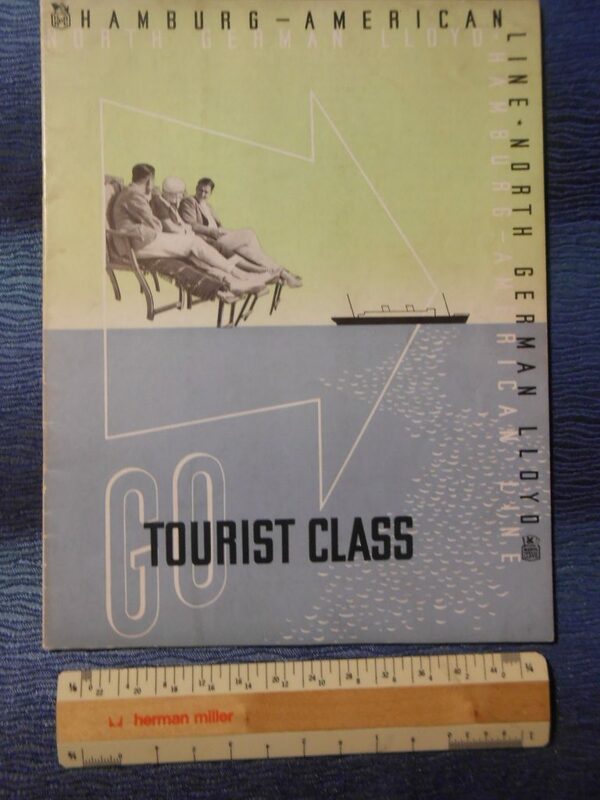 Tourist class was the economical way to go back in the day! The cover has a little color fade and very minor scuffing.